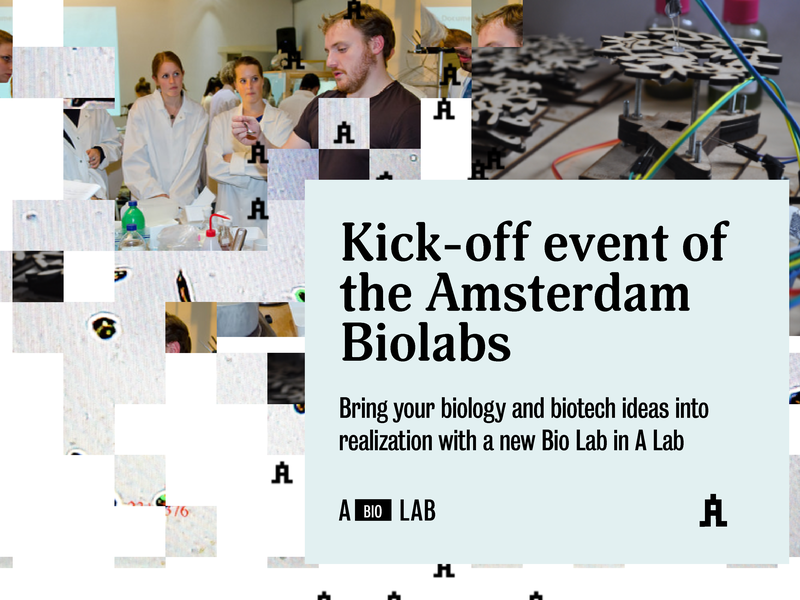 A Lab in collaboration with Amsterdam Biolabs invites you to an event that aims to bring together creatives, innovators and scientists and highlight the vast applications of biosciences in arts, technology and society. The event presentations will cover an overview of current applications of biosciences in different fields Arts/Design/Innovation. The Amsterdam Biolabs Foundation, located in Amsterdam’s A Lab, is a collaborative biobase to experiment on new ideas at the intersection of Software, Hardware and Biology. It provides space and equipment for entrepreneurs, innovators, academics, researchers, designers, artists and makers to work on innovative biology and biotech projects. Get your hands wet with Biotic Games, the first game that runs on wetware! We hope to see you #inalab the 21st!